The venture-funded music listening app Soundrop has announced that it will be available to Deezer users starting today. The application, which was originally built exclusively as a Spotify app, allows users to listen to music together in ‘rooms’ – a Turntable.fm of sorts, if you will. The startup has already raised $3 Million for its application, and a source close to them says that integration with Deezer is the first step in their strategy to grow beyond Spotify to a platform-agnostic collaborative listening service. 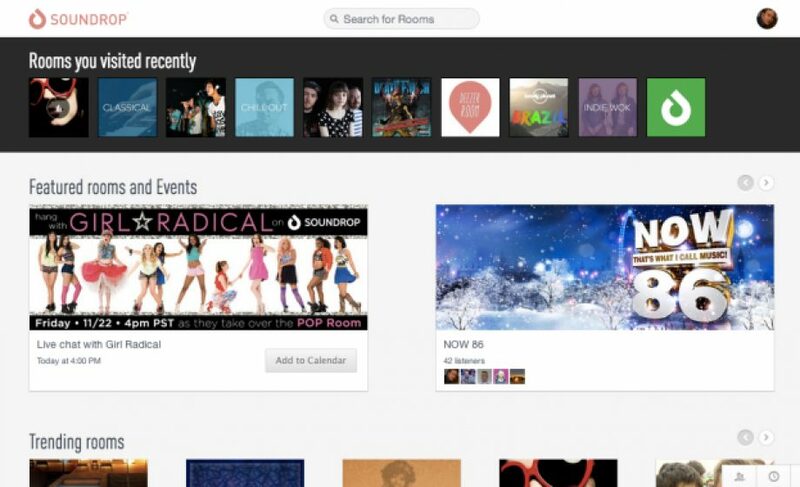 When it launched, Soundrop was a big deal for Spotify. It is the first and among the only apps to raise money as a dedicated Spotify app, and it marked a real advantage point for Spotify over competitors; however, apps on Spotify (& Deezer) are restricted from monetizing the music they play through advertisement, which makes it very difficult to remain an app on just one platform. As it spreads across multiple platforms, Soundrop may be able to help push new artists to listeners; however, the monetization possibilities remain thin. Ecosystems of music services like Deezer & Spotify are not as developed as an app like this would require them to be – the service counts 150,000 active users per month on Spotify, representing about 2% of Spotify’s 7 Million premium users – and while Spotify & Deezer undoubtedly see their respect app stores as growth possibilities, the fact remains that most users of such services are just using it as a listening service today.